Too Far Gone is a rock band from Petaluma, CA. Formed in 2018, its self-titled debut album is available here for free listening. 8 high-energy, indie rock songs that combine the forces of pop, punk, and metal into epic anthems of life, love, and rebellion. for updated information about shows and new releases. Too Far Gone was formed in the spring of 2018 in Petaluma, CA when Justin Zavislak and Jake Byrnes met at a local rehearsal studio. Justin had recently moved to Petaluma from San Francisco, and before that Boston and Seattle, and was eager to put a new band together. His most recent project, Denominator, disbanded a few years prior when the other founding member moved to Los Angeles. Some of his other prior bands include Bandito, Earl, and Warm Fuzzy. Jake is a Petaluma native and had been active writing and playing with his metal band when the two met. The pair connected over discussions of what it would sound like to fuse a 90’s era punk sound and sensibility with the energy and attitude of contemporary metal, while also maintaining a pop accessibility. With Justin singing and playing guitar and Jake on drums, the first songs came together quickly. And so Jake reached out to friend Spencer Metela from Santa Rosa to provide his expert bass chops. And their debut, self-produced album was released that November. Making the transition from the studio to the stage was not instantaneous. After the release of the album, Spencer had previously scheduled tours with his other bands, The Offering and Hate Storm Annihilation, which lasted a few months. During that time, to maintain the band’s momentum, Justin and Jake headed back into the rehearsal studio and began writing new songs, while continuing to explore the various aspects of the sound they were seeking. Musically speaking, Jake brings both the distinctive metal quality with his fast and booming drums, and also a general musicality that contributes greatly to the overall song structures and style. Justin brings an influence of raw defiance, political resistance, and existentially heavy emo with his screaming, distorted guitar. And Spencer, having been formally trained at Berklee College of Music and sponsored by Ernie Ball, brings an enchanting and never-ending wonderment of heavy bass meanderings, both as leading melodies and powerful, deft accompaniment. The name, Too Far Gone, emerged organically from the themes explored in the lyrics which often describe the limits inherent in our experiences. These limits become exaggerated by the juxtapositions they create with either other limits imposed by other forces, or the fact that we as humans often find ourselves positioned differently that we expect in relation to these limits. 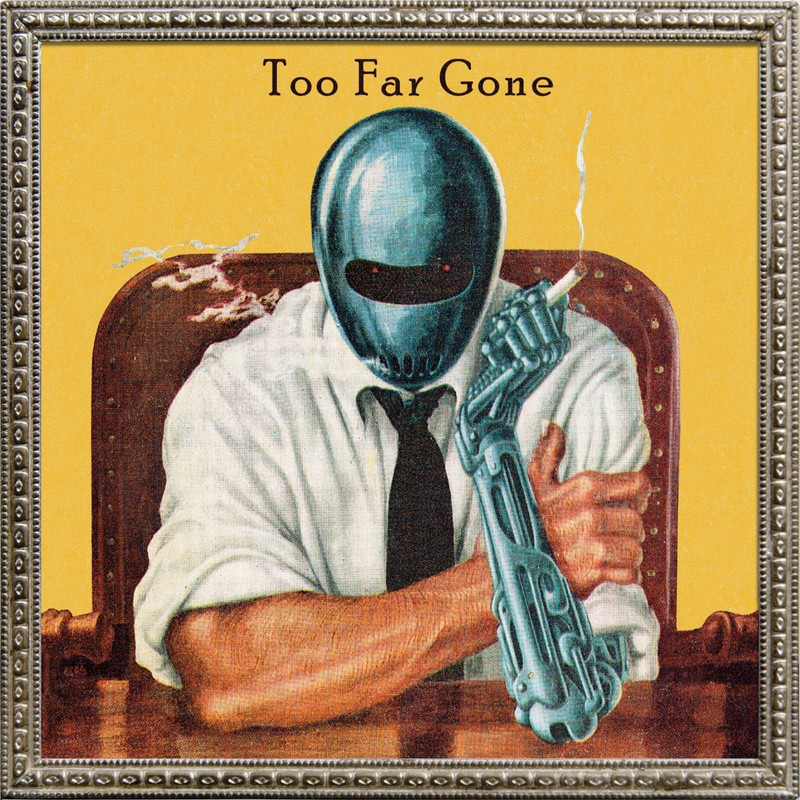 Too Far Gone conveys the idea that once we find ourselves beyond a perceived limit, there is no going back. But this permeation is positive despite how it may initially appear because it provides new context for understanding ourselves and our world. Our hope is that applying this concept to music will enable the discovery of new, unplanned sounds and musical structures as well as insights into what the music should communicate at its moment and place in time. © 2019. Too Far Gone. All Rights Reserved.